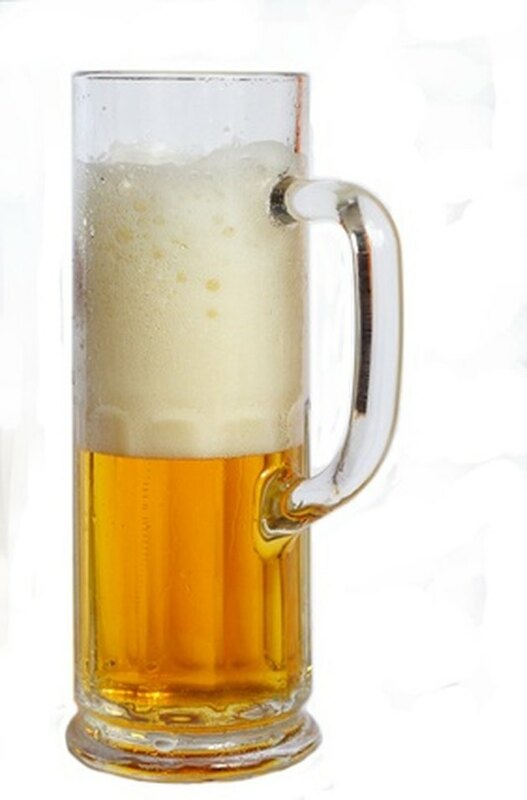 Beer is made using yeast to ferment the beverage, making it alcoholic. If you develop adverse reactions and skin rashes after drinking beer, you should stop consuming beer until you can be seen by your doctor. Various conditions may be causing the reaction and rash, such as alcohol intolerance, a yeast allergy or a grain allergy. These conditions are treated by eliminating beer from your diet and any other brewed alcoholic beverage made with yeast. Alcohol intolerance, also called an alcohol allergy, is an inability to digest the yeast or other ingredients in beer. The most common symptoms described by MayoClinic.com include flushing of the skin, congestion and asthma. The condition is hereditary and is caused because the body is unable to break down alcohol. The reactions that develop from alcohol intolerance may be caused by other ingredients, such as grains, chemicals or preservatives. There is no cure for alcohol intolerance. Brewer's yeast is used to make beer, which can cause allergic reactions in people with a yeast allergy or mold allergy. Although most cases of mold allergies refer to airborne mold particles, fungi and mold are a part of the same family and can cause an allergic reaction from ingesting beer, according to the Cleveland Clinic. If you're diagnosed with a mold allergy, you should also avoid other alcoholic beverages, aged cheeses and dried fruits. A grain allergy is caused by the presence of certain proteins found in grains. Beer can be made from various grains, including barley, wheat and rye. If you have a known allergy to one or more grains, you should avoid consuming beer. A grain allergy causes an exaggerated immune system reaction that causes the body to produce various chemicals in the body, such as histamine and immunoglobulin E antibodies. Grain allergies can cause skin rashes, asthma, digestive complications and cardiovascular symptoms. Call your doctor if you develop a rapid heart rate, the inability to breathe or facial swelling. Rashes are a common symptom of food allergies. The most common rashes that can develop are hives, eczema and general skin irritation. Allergic skin reactions are the result of increased histamine in the skin that causes swelling and irritation. Hives form in clusters of welts anywhere on the body. They are extremely itchy and can migrate from one area of the body to another in a matter minutes. Eczema is a skin condition that can be triggered by a beer yeast allergy. Blisters caused by eczema can crack, weep and crust over.